That’s why we’re excited to announce today that we have been awarded the #1 spot on G2 Crowd’s list of the Best Products for Marketers in 2019. 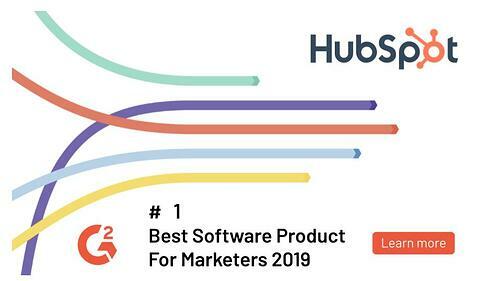 In addition, HubSpot was also named the #3 Best Product for Mid-Market, and the #9 Best Software Company overall. With over 45,000 software companies on G2, HubSpot’s recognition on all three lists is an exceptional achievement, and one that can only be earned through the endorsement of its users. This is HubSpot’s second time earning the title as one of G2’s Best Software winners. Learn more about what real users have to say (or leave a review of HubSpot) on G2 Crowd’s HubSpot review page.